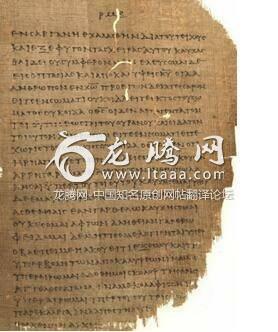 史上第一本《圣经》长什么样子？ [美国媒体] What was the first Bible like? In the years after Jesus was crucified atCalvary, the story of his life, death and resurrection was not immediatelywritten down. The experiences of disciples like Matthew and John would havebeen told and retold at many dinner tables and firesides, perhaps for decades,before anyone recorded them for posterity. St Paul, whose writings are equallycentral to the New Testament, was not even presentamong the early believers until a few years after Jesus’ execution. In the second century, church fatherIrenaeus of Lyons argued for the validity of the Gospels by claiming that whatthe authors first preached, after receiving “perfect knowledge” from God, theylater put down in writing. Today, scholars differ on these issues – from theAmerican writer Bart Ehrman stressing how much accounts would be changed by theoral tradition; to his Australian counterpart Michael Bird’s argument thathistorical ambiguities must be tempered by the fact that the books are the wordof God; or the British scholar Richard Bauckham’s emphasis on eye-witnesses asguarantors behind the oral and written gospel. The first New Testament books to be writtendown are reckoned to be the 13 that comprise Paul’s letters (circa 48-64 CE),probably beginning with 1 Thessalonians or Galatians. Then comes the Gospel ofMark (circa 60-75 CE). The remaining books – the other three Gospels, lettersof Peter, John and others as well as Revelation – were all added before oraround the end of the first century. By the mid-to-late hundreds CE, majorchurch libraries would have had copies of these, sometimes alongside othermanuscripts later deemed apocrypha. 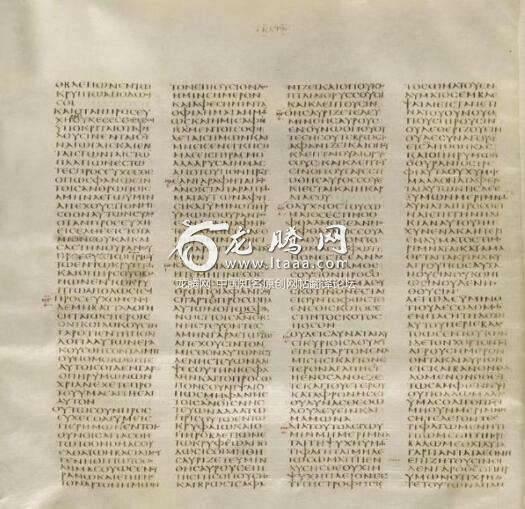 The oldest surviving full text of the NewTestament is the beautifully written Codex Sinaiticus, which was “discovered”at the St Catherine monastery at the base of Mt Sinai in Egypt in the 1840s and1850s. Dating from circa 325-360 CE, it is not known where it was scribed –perhaps Rome or Egypt. It is made from parchment of animal hides, with text onboth sides of the page, written in continuous Greek script. It combines theentire New and Old Testaments, though only about half of the old survives (theNew Testament has some fairly minor defects). Sinaiticus may not be the oldest extantbible, however. Another compendium of Old and New Testaments is the CodexVaticanus, which is from around 300-350 CE, though substantial amounts of bothtestaments are missing. These bibles differ from one another in some respects,and also from modern bibles – after the 27 New Testament books, for example,Sinaiticus includes as an appendix the two popular Christian edifying writingsEpistle of Barnabas and Shepherd of Hermas. Both bibles also have a differentrunning order – placing Paul’s letters after the Gospels (Sinaiticus), or afterActs and the Catholic Epistles (Vaticanus). But in the absence of a single book priorto the fourth century, we have to content ourselves with the many survivingolder fragments sensationally found during the 20th century. We now have some50 fragmentary New Testament manuscripts written on papyrus that date from thesecond and third centuries – including the valuable Papyrus 45 (fourfold Gospeland Acts), and Papyrus 46 (a collection of Pauline letters). In all, thesecomprise almost complete or partial versions of 20 of the 27 books in the NewTestament. The quest will likely continue foradditional sources of the original books of the New Testament. Since it issomewhat unlikely anyone will ever find an older Bible comparable withSinaiticus or Vaticanus, we will have to keep piecing together what we have,which is already quite a lot. It’s a fascinating story which will no doubtcontinue to provoke arguments between scholars and enthusiasts for many yearsinto the future.